It’s 2019! We shouldn’t put up with this any longer. Not when there is a solution out there that has been specifically designed to address the issues mentioned above and much more. It’s called HELLO 2 and we can’t wait to tell you more about its superpowers. So what is HELLO 2? HELLO 2 transforms any TV into a powerful communication device for video conferencing, wireless screencasting, screen sharing, digital whiteboarding, Alexa and Google voice assistance, live broadcasting, gaming, TV streaming, home automation, camera feed with motion detection plus infrared night vision, and more. Alright, sooo what does that all mean? HELLO 2 is first and foremost a communication device that you can use to stay in touch with the people you care about and be more productive at the same time. 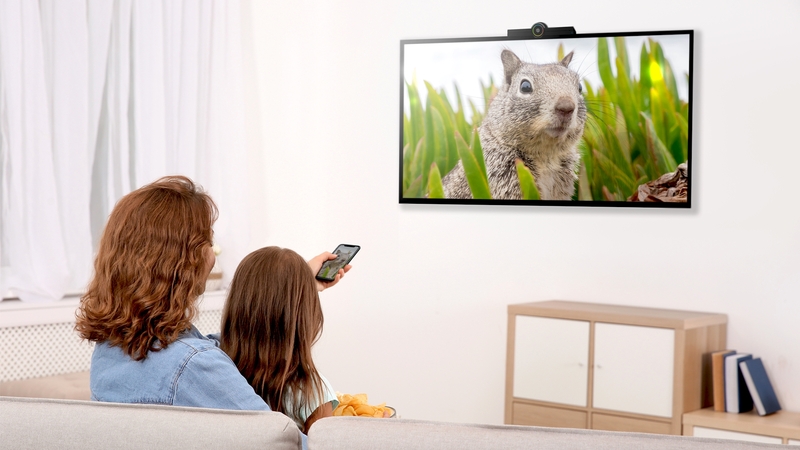 Through HELLO 2, you can use your TV to make high-quality audio and video calls, share your screens from any device you’re using to better collaborate, and use it as a security camera that can detect motion and offer a clear camera feed even in dark and dimly-lit rooms through its night vision feature. You can also use HELLO 2 to live broadcast, play any Android games, watch movies and TV shows, and control your smart home devices using Alexa and Google voice assistants, as well as Zigbee. This device can be set up by anyone in less than 2 minutes. All you have to do is plug it in and connect it to your TV through an HDMI cable that comes with it. After you do that, you download the HELLO Messenger app on Google Play or App Store to create your account and generate your unique QR code. You need this unique code to scan it to your HELLO and you’re all set up. No need for extra cables, and certainly no need for a special tech team to set it up. In any case, the manual that comes with it, our Help Center, and our customer support that works endlessly 24/7 will be there with you every step of the way if you need them. What are some of the main use cases of HELLO 2 for Home Use? Remember the case explained in the beginning? That never happens with HELLO. Why? Because HELLO 2 is equipped with powerful hardware, a 4K HDR sensor, and an array of 4 beamforming microphones that cancel unwanted noise and make sure to pick up your voice from 8+ meters away! You can make unlimited one on one or group audio and video calls for free whenever you need to stay in touch with your family and friends. It really doesn’t matter where they are, because with HELLO they’re just a call away! If you want to invite your friends “over” for a drink but there is a whole ocean between you, again, with HELLO you can still do that and enjoy some time with your friends no matter where all of you are physically located. HELLO 2 has full integration and support with Alexa and Google Assistant for full home automation compatibility. You can interact with your favorite voice assistant whenever you need to ask any questions, organize your busy life, and have fun chit-chatting with them. Let Alexa Voice Assistant and Google Assistant integrate with your routine so they can help you get things done faster by only using your voice commands. You no longer need to worry about your home being safe from thieves again. HELLO’s Camera Feed with Motion detection feature will let you know whenever someone moves in front of your HELLO at home so you will be alerted at all times and take the necessary measures. HELLO’s Camera Feed also has Night Vision, so you will be able to use the Camera Feed at all times even in dark and dimly lit rooms so you can have a peace of mind at all times. You can always take advantage of the camera feed feature when you are not at home or traveling for a short period of time. Use it to also keep an eye on your children and pets and feel safe at all times, whatever the case might be. We all know that sharing special moments with loved ones is what makes those experiences more fun and memorable. Want to share pictures and videos you took while traveling abroad with your loved ones? With HELLO 2 you can easily do so! 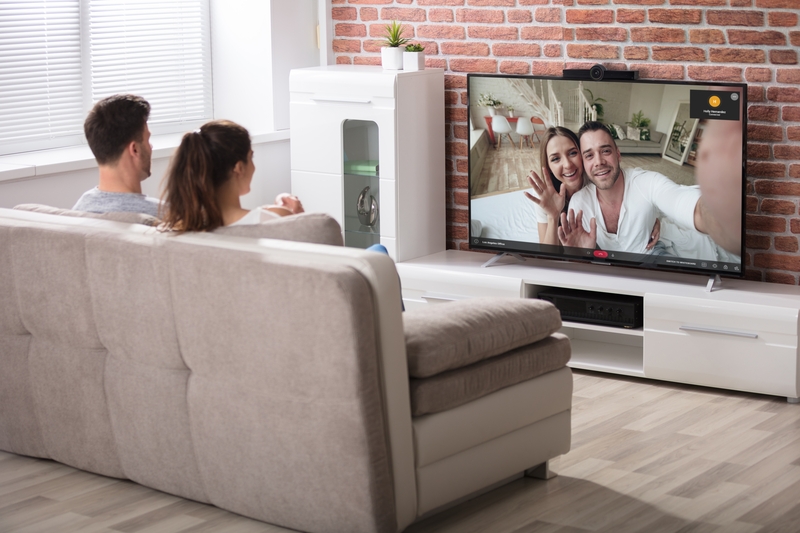 Show those happy faces and wonderful gems you captured all around the world on the big screen of your TV and witness how smiles and laughter will spread around quickly. With HELLO 2 Wireless Screencasting and Screen Sharing it is very easy to include your family and friends while your treasured moments unfold! Use this feature to cast pictures and videos from your Android or iOS phone to your TV through HELLO with Airplay or Miracast so everyone in the room can partake in your experiences while enjoying the comfort of a home environment and be more productive at the same time. We know how different we are from one another in the sense that we don’t always prefer the exact same things. It’s what makes us unique and special after all. That is why HELLO, besides pre-installed apps, will allow you to install any apps of YOUR choice through APK installer. Among the pre-installed apps on HELLO are Facebook Messenger, Skype, Google Meet, Hangouts, Zoom, WeChat, BlueJeans, Fuze, Unify, and more. Besides these, you’re free to install all your favorite Android apps on HELLO to personalize it even more. Whenever you feel like watching movies or playing video games while enjoying the company of your family and friends, simply switch to your favorite TV Mode. With the TV Streaming mode you can watch TV through any Android app you have installed on your HELLO to follow your favorite movies and TV Shows. Catch up with your favorite movies or TV series on Netflix, Roku TV, Hulu, or Youtube. No need for extra cables! All you have to do is install streaming apps on your HELLO, sit back, and enjoy. Switch to Gaming Mode to play any Android games whenever you want to bond and enjoy time with your dearest people. Interested to learn more about HELLO 2? Check our HELLO Store for more info and order yours today with FREE Shipping!